Commercial/Industrial open work space available for showroom, studio, office, warehouse and light manufacturing uses. Units range in size from 500 to 3500 square feet. Very competitive lease rates starting from $25/sf. Building wired with Hi Speed internet and fiber optics, concrete floors, high ceilings, multiple loading docks (indoor and outdoor truck level), passenger and freight elevators and onsite parking. 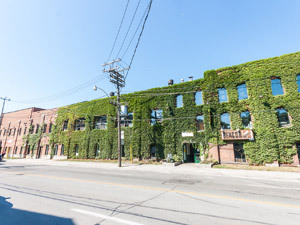 Convenient East end location, excellent transportation access, close to Downtown, easy access to DVP and QEW. Lease term 1 to 5 years. Please give Tanya a call at 416-465-3884 for more details. Visit us at www.carlawindustrial.com.